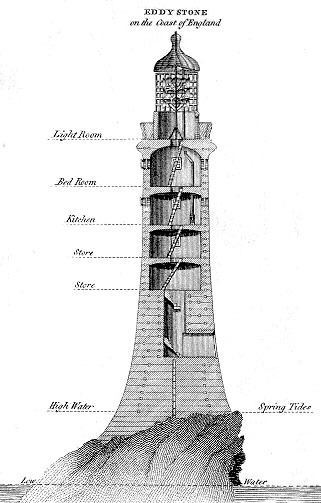 This was the Eddystone Lighthouse from 1759-1882, built by civil engineer John Smeaton. 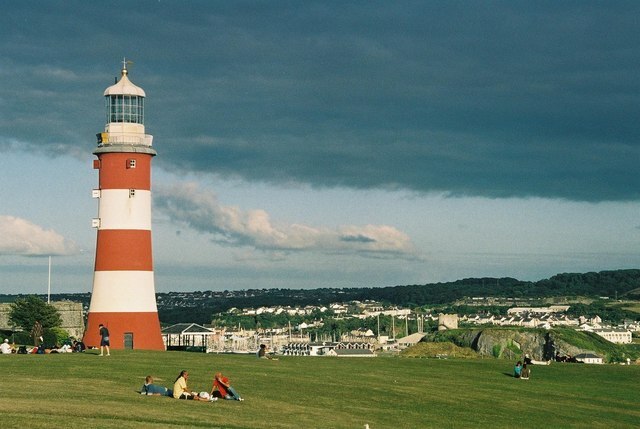 It was a revolutionary design that greatly changed the development of offshore lighthouses. 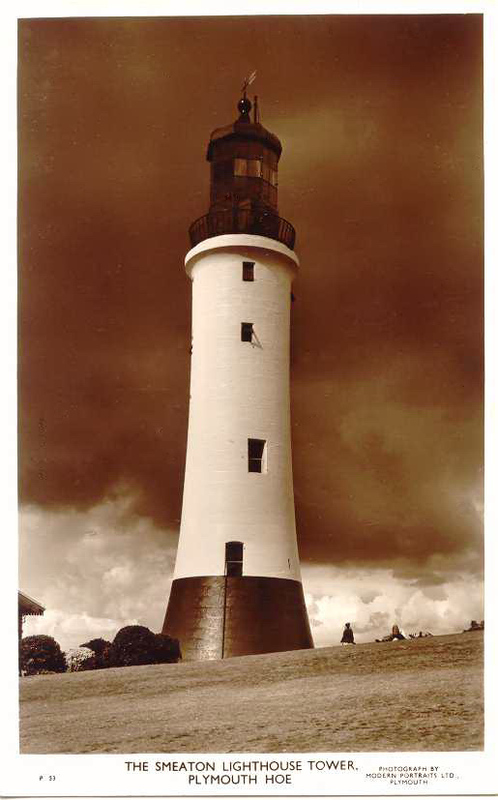 Due to failures in the rock under the lighthouse and technology moving and more space being required in the light housing, a larger replacement was built. 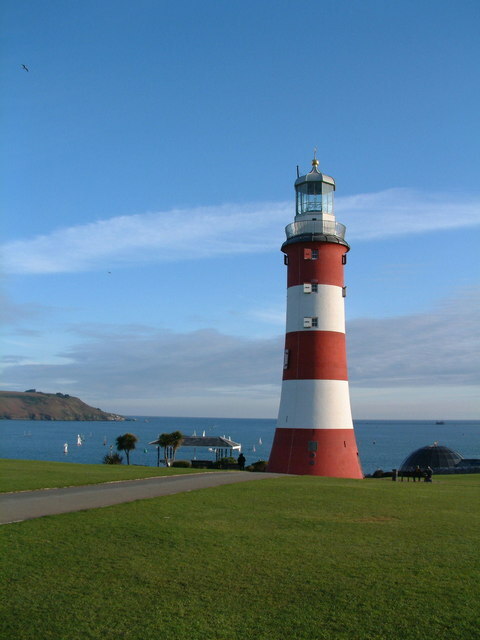 The Smeaton Lighthouse was pulled down, except for its base and moved to Plymouth and rebuilt on a new base. 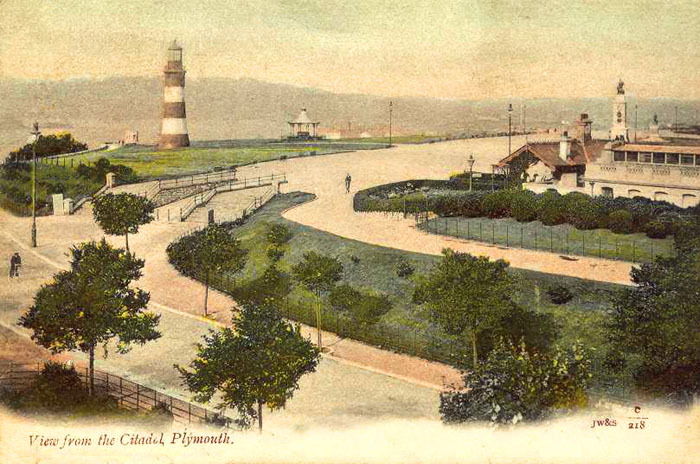 The original base is still out by the later Eddystone Lighthouse, 13 miles south west. 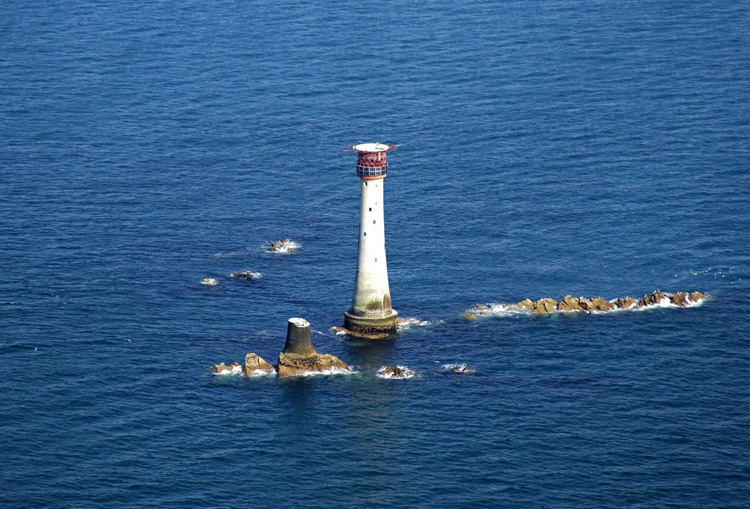 Please see the fuller location guide on the Eddystone Lighthouse, which gives the full story of all 4 versions of the lighthouses that stood on these rocks. 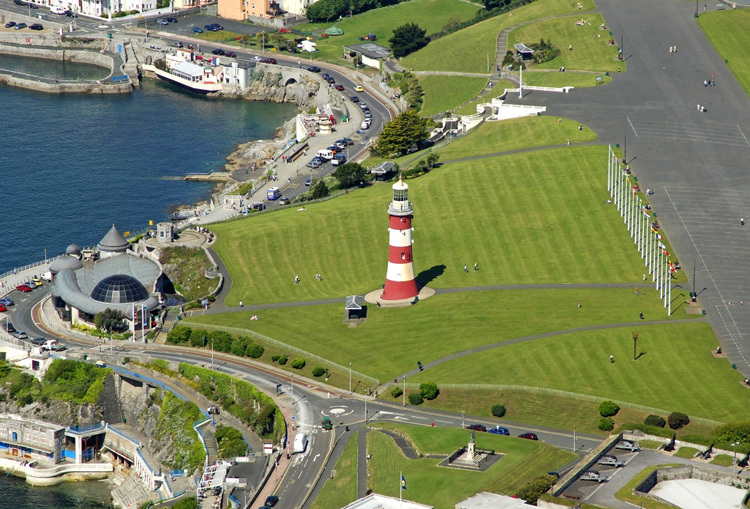 The lighthouse on the mainland at Plymouth, is open to visitors who may climb the 93 steps, including steep ladders, to the lantern room and see the views of Plymouth Sound and the city, all year round (with the exception of Christmas and Good Friday). For details of current opening times, admission prices and access information see the grid at the bottom of this page. The current Eddystone Lighthouse - Note the old base for the Smeatons tower is still by its side. postcard shows it with the same colours as the Douglass Tower that replaced it. However a little later it had its paint job and was as it is now, the image below was taken probably around 1905. Unless we have these two images the wrong way around and later for a period it was represented the other way. Now standing 72ft high, a third is still in its original position. So start late, finish early and close for a lunch break. Closed on Sundays and Mondays but may be open on some Bank Holiday Mondays. They may also close it on Fridays and Saturdays if they want to run events there. You definitely need to check their Website page or call before visiting.